There are so many audio devices that only supports Windows Media Audio (WMA). If you have an IC recorder like my Olympus DS-50, chances are that it'll record audio only in WMA. As far as those audio files remain in this format, it won't be easy to edit them. So it'll be better for you to convert them into a more Mac-friendly format like AIF. QuickWMA is a simple and solution for batch-converting one or more Window Media Audio files into QuickTime-readable audio files at a time. 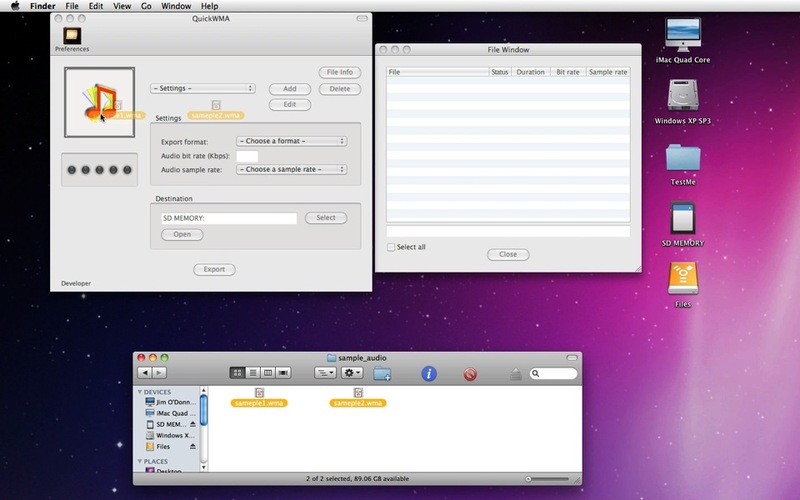 For now, QuickWMA supports such export formats as AIF, MOV, MP3 and WAV. * Please note that QuickWMA may not work with media clips that are protected by DRM. 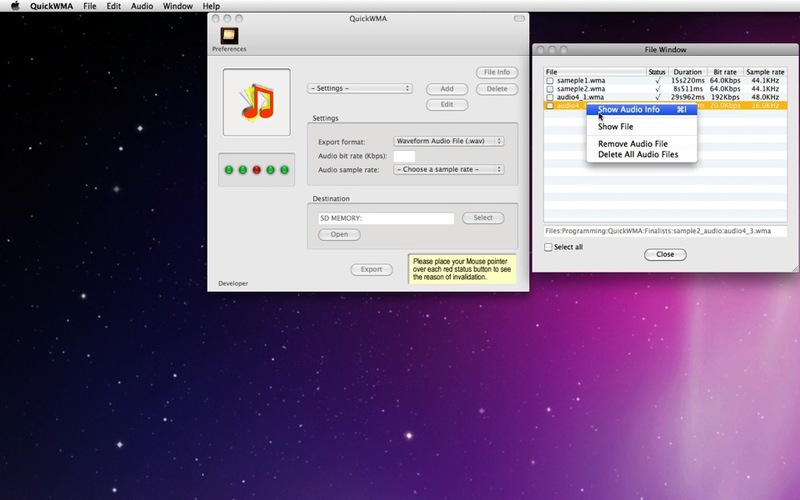 Click on the button to download a demo/trial version of QuickWMA for Mac OS X 10.6. Change: The bit rate edit field box will be displayed for AIF and WAV when the user creates a new export preset. Fix: The second validation light will remain red with AIF and WAV while the user doesn't set an audio sample rate. A few other minor changes and improvements are done. QuickWMA is a product of MacHouse.